Do you remember the champi malish that made us all feel rejuvenated and refreshed decades ago? Each one of us used to take care of our crowning mane in simple ways such as getting a hot oil massage. However today, the care regime for our hair has changed completely from merely oiling and grooming the hair to something that is called a hair spa treatment. I am sure all you want thick, strong and shiny hair. But in today’s time of excessive pollution, too much blow drying, stress, use of strong chemicals on the hair, is it possible to flaunt healthy hair? Well, YES! In such circumstances, a hair spa treatment is the ideal solution for revitalizing and nourishing your naturally beautiful tresses. A hair spa treatment is important for all you in order to survive the hair damage. It helps in mitigating problems such as hair loss, split ends, dandruff etc. giving you strong and beautiful hair. In my own case, I have undertaken hair rebonding thrice at reputed salons. The services used the best of the hair products and I absolutely loved how my hair looked in the beginning, so healthy and shining. But, as the time passed, and the effect of the treatment started to fade away, my hair started becoming dry and frizzy. I faced a lot of problem of split ends and in the end; it was hard to manage my hair. It was then I took to hair spa treatment which greatly helped me. I could see visible difference in my hair texture in just a month’s time. I understand that a hair spa treatment at salon is an expensive venture. Also, a lot you might have time constraints in going to salons and getting these treatments every time. For your convenience, I have assembled a list of the best hair spa masks that can be effectively used in the comforts of your home to get healthy and nourished hair. A good hair spa treatment helps to rejuvenate the hair follicles, providing the needed strength to the scalp and roots. It also promotes hair regrowth. When you massage your scalp in a hair spa, it improves the blood circulation. It also activates the glands for the secretion of oil. The use of masks and conditioners add gloss to the hair, making them smooth and shiny. It helps in reducing hair loss and dandruff. It aims upon mitigating the damaging effects of hair styling, restoring your natural beautiful hair texture. How Often Should You do a Hair Spa Treatment in a Month? 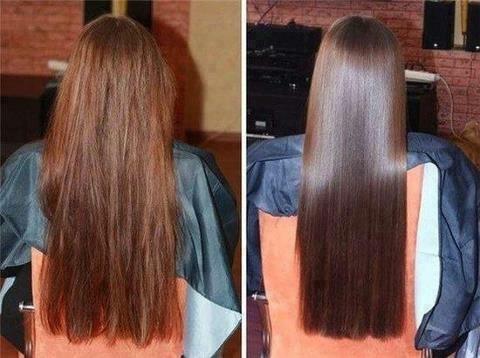 Well, to have healthy and shiny hair, you should do a hair spa treatment after every 15 days. In case you are going out a lot or regularly styling your hair, you can go for these treatments once in a week. However, in a case of a normal lifestyle, when your hair are not exposed to excessive pollution, chemicals, etc. undertaking a hair spa twice a month is sure to guarantee you beautiful hair. How to Use a Hair Spa Mask at Home? Hair spa kits are amazing packets of wonder that promise to give you beautiful and shinier locks. These are basically cream kits to treat damaged, unhealthy and undernourished hair easily and conveniently at your homes. Take an optimum quantity of the mask in your hair spa kit and apply it on your hair. Don’t forget to apply it on the ends. Take the treatment serum from the kit if any. Apply it on your hair carefully from the roots to the tip. Gently massage your scalp for 15 minutes. Steam your hair and then leave them for good 20 minutes. Rinse the hair thoroughly with cold water. Let the hair dry naturally. Do not use heat to dry them. For best results, use twice a month. For natural and virgin hair, it is advisable to use hair spa kits that do not contain excessive silicones. It is further recommended if your hair scalp is oily. Go for a hot oil treatment before doing the shampoo. It will help to keep the hair healthy and strong. It is advisable to use a hair spa kit that contains silicons for nourishing chemically treated hair. 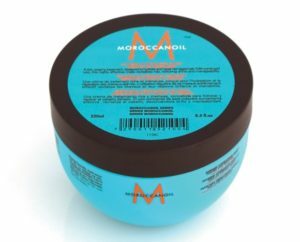 A lot of reputed brands are offering a wide range of silicon treatment hair spa kits that help in enriching the hair with the necessary scalp nutrients. Who has the time to visit a beauty salon every time? Now with these effective and best hair spa masks you can get salon like hair pampering at home. Boost a fresh life into your dull and lifeless hair and restore them with all the shine and softness. Here are my Top 5 choices of the most effective hair masks that you can choose for your hair type. 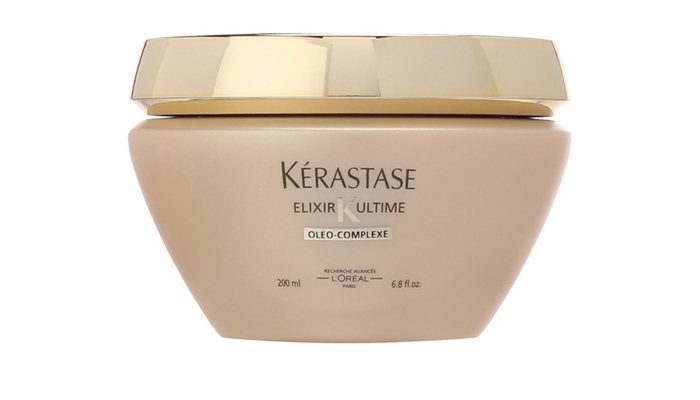 Kerastase Elixir Ultime Beautifying Oil Mask is an amazing product that contains a high concentration of essential oils and hydrating moisturizing serum. The intensifying mask revives the hair strength, making them nourished and smooth. It makes the hair lustrous, super shiny and extremely easy to manage. It penetrates down to the deepest of the hair follicles, adding the required moisture to your locks. It smells great and is highly suitable for all hair types. Moroccan Oil Intense Hydrating Mask is one product that does exactly what it claims. Being one of the best hair repair formulas, the mask can be effectively used as a conditioning and hair styling tool. It provides the hair with the essential hair nutrients that helps to strengthen up the damaged ends. It is the best way to moisturize your hair with this 5 minute revival treatment. It contains argan oil that focuses on deeply hydrating your hair, providing it a great texture and shine. 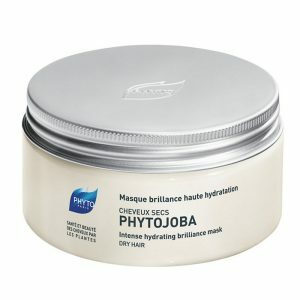 PHYTO Phytojoba Intense Hydrating Mask works wonders for dry and frizzy hair type. Enriched with the goodness of jojoba oil and cellulose extracts, the masks focuses upon enhancing the natural hair protection. It deeply hydrates the hair and augments the shine, weightlessly restoring the softness and lustre in dry hair. It contains adequate concentrations of angelica root extracts and the sweet orange essentials that impart the needed shine. The hair gets rejuvenated with elasticity. 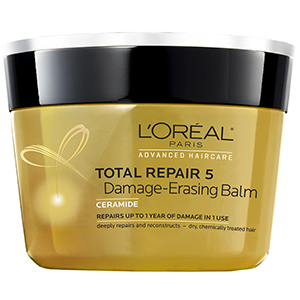 L’Oreal Paris Advanced Hair care Total Repair 5 Damage claims to repair up to one year of hair damage in just a single use. The amazing hair mask fights against 5 hair problems- split ends, roughness, dullness, weakness and hair dehydration. It contains the essential ceramides that work to restore the hair softness and shine. 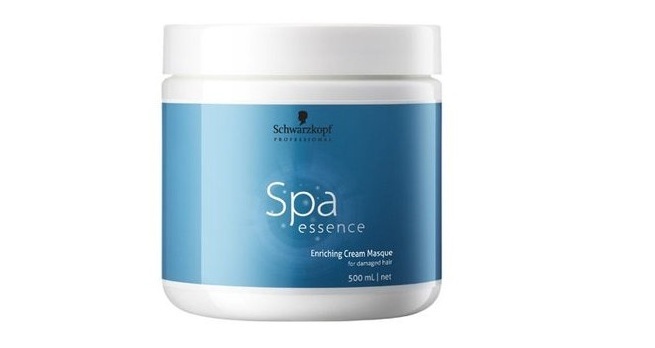 Schwarzkopf Spa Essence Enriching and Hydrating Cream Mask seek to rejuvenate the hair that has been damaged due to excessive pollution, styling, stress and an unhealthy lifestyle. It works directly on the hair follicles strengthening them against hair fall. It is the ideal hydrating solution for dull and dry hair. Are Hair Spa Masks Different than the Regular Hair Conditioners we use? I am sure a lot many of you must be wondering if these hair spa masks are actually any different from our conditioners? Well YES! Daily conditioners just nourish the surface of your hair. They lower down the pH level of your hair, making them softer and shinier. They don’t intend to penetrate deep into the roots in order to restructure your hair. However, a hair spa mask is more intense and thicker in consistency. It should be applied for at least 10 to 15 minutes in order to deeply nourish and revitalize your damaged hair. You can also leave it overnight if in case your hair needs extra TLC.